WGD was the Prime Interior Design Consultant and Project Architect on the new 10,000 square foot lease-back federal government office building. The building is situated on a prominent location in downtown Sault Sate Marie. The project was part of revitalization effort for the west sector of Sault Ste. Marie. 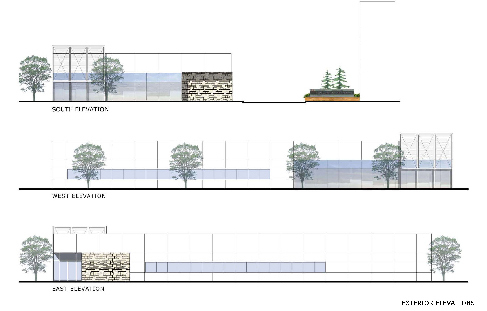 As part of the development team, WGD worked from the onset to establish a building footprint and site design that best suited the needs of the federal government agency, based on the Facility's requirements. 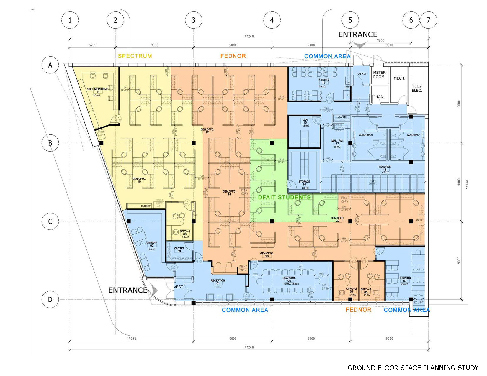 With a building footprint established, WGDID worked closely with Industry Canada Representatives to complete block planning diagrams for the office. LEED interior design features included, the selection of a low emission carpet and adhesive, as well as Low-e paint, and Greenguard certified furniture and cabinetry. A full FF&E tenant fit up package was assembled, which included new workstations, and furnishings throughout.